Grab your favorite colored pencils, markers, glitter, and even the yellow ochre crayon you unearthed from that ancient cave so many years ago! 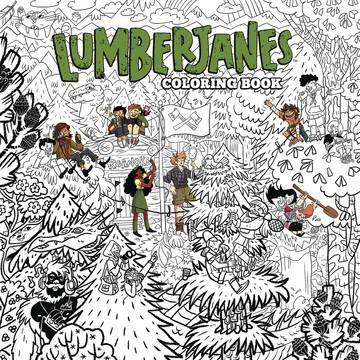 Now you can join the Lumberjanes in earning your Friendship to the Craft badge. 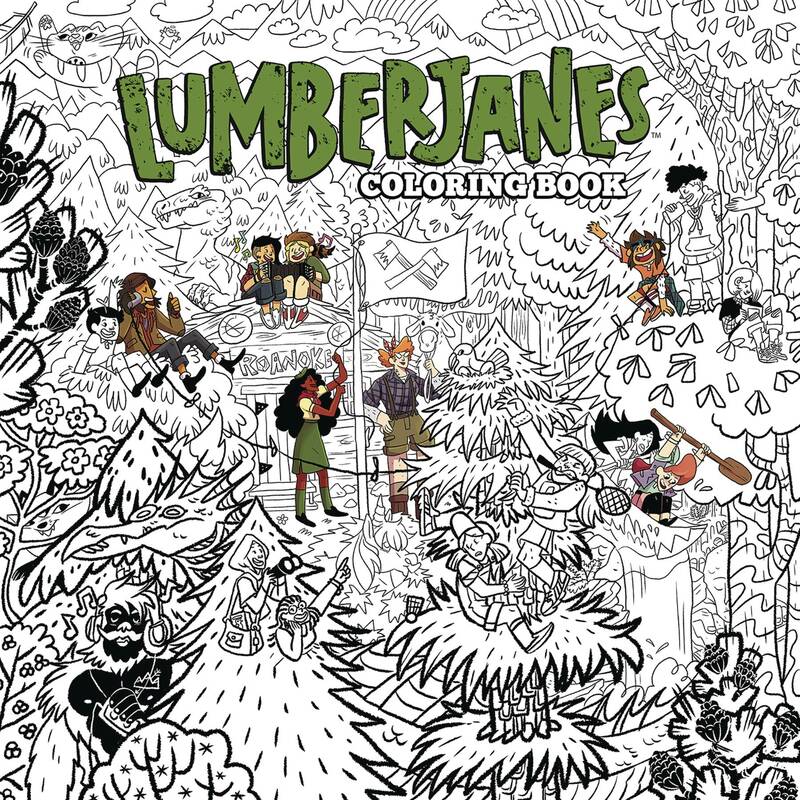 Featuring 96 gorgeous pages of original Lumberjanes art to color from series artists like Brooklyn Allen, Carey Pietsch, and Ayme Sotuyo, this book is an azure-dly good time for all..